Weddings can be tough and take a toll on your body. Especially when they are Cabo. So much traveling and relaxing…idk how we do it. LOL in all seriousness we had the greatest/most fabulous time celebrating two of our dear friends tie the knot in one of the happiest places on earth. But CABO had us feeling some type of way - the type of way where we never wanted to come home and face reality. 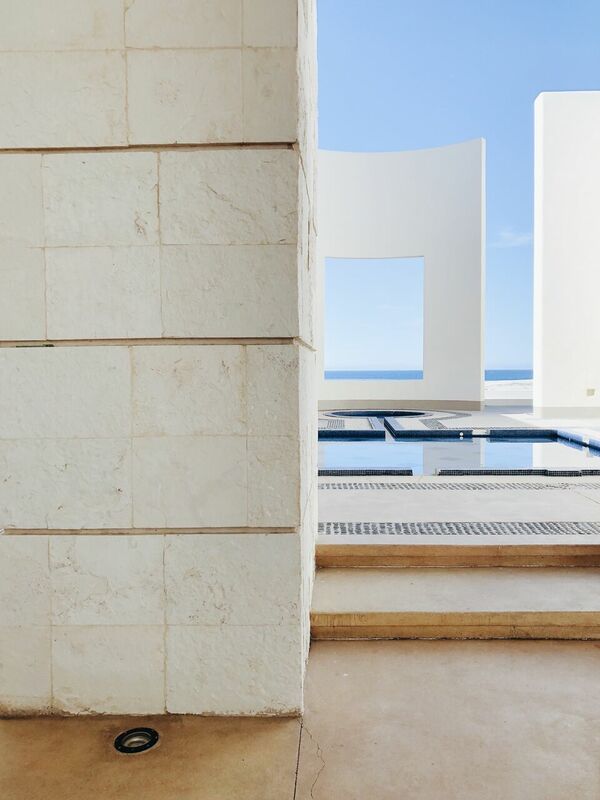 All because …..The hotel of our dreams. The happiest place on earth. Hotel MF goals. PUEBLO BONITO PACIFICA. We actually fell in love with this place when we saw some fancy fashion bloggers laying beachside on IG and we knew we needed to rest our head here. When we first arrived we were greeted by our own personal Butler for the day - talk about service. We proceeded to take a tour of the property and within minutes - were easily convinced that it might be possible to pull our money together and start our retirement. 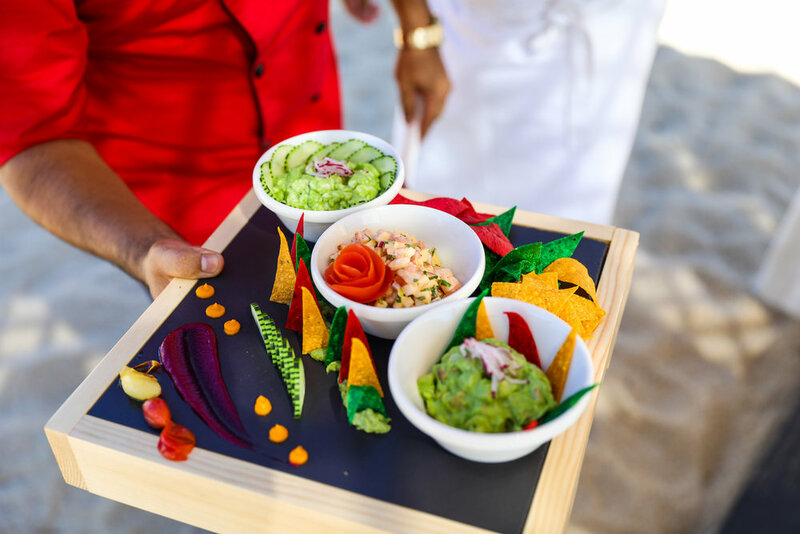 Pueblo Bonito puts so much thought and detail into every aspect of the resort. From the fresh garden of vegetables and herbs to their carefully crafted, intricate cocktails - it’s hard not to be a fan. Let’s also talk about one of the best parts - the Swedish Massage. We never been touched by a women that way and we aren’t mad about it. Sweden you might want to take a few notes from Mexico bc they are doing it right. After the massage we were presented with chlorophyll water. Chlorophyll Water you ask? (yes at first we thought it was chloroform water - we have heard about that on SVU and were a little scared…. easy mix up right?!) Once we were made aware that it was safe- we proceeded to chug. YUP and we were brought back to life. 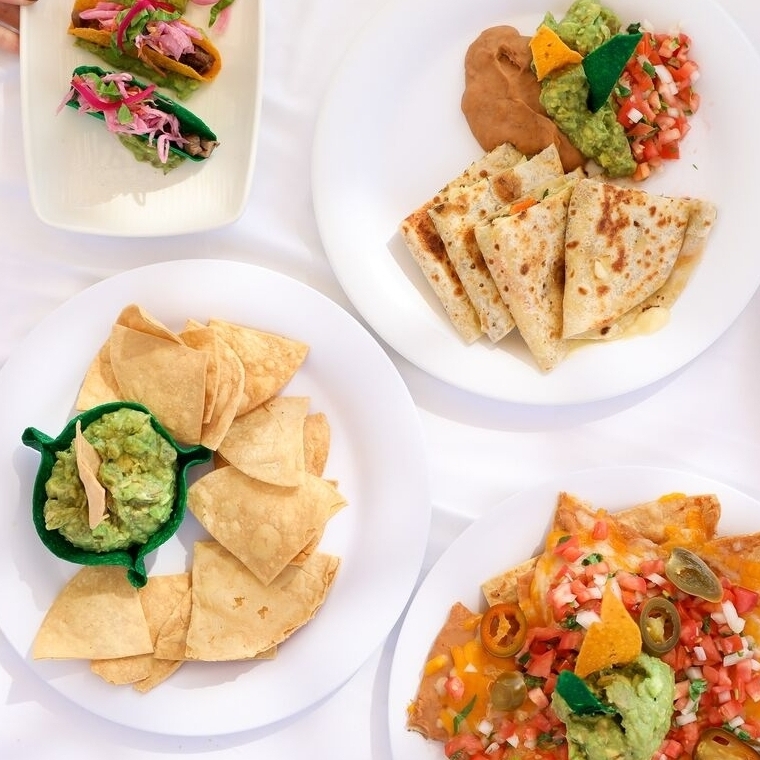 Can we get an unlimited supply delivered to our house ASAP?! Please and thank you. We then proceeded to do some more laying in our cabana on the beach. 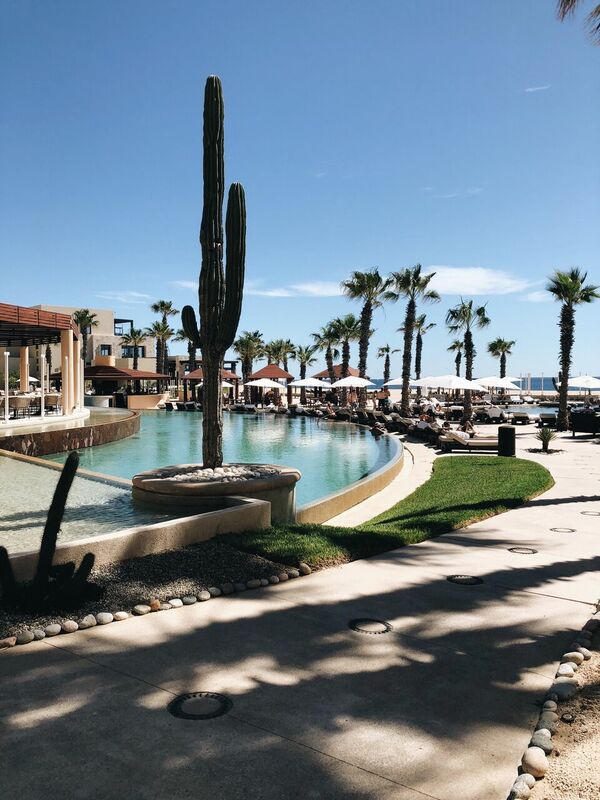 Did you know it’s not safe to swim in the ocean in Cabo? Ya us either. 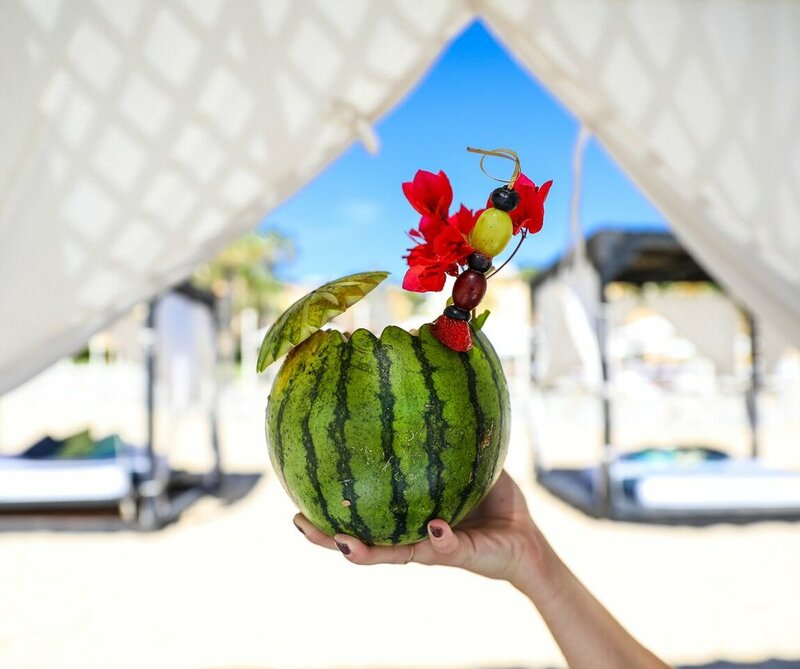 We recommend starting your first drink of the day with the vodka drink in a watermelon. (1 part hydration, 1 part TURN UP). The perfect start to any day - Cue Beyonce. The food started to flow from there - I think we tried almost everything on the menu. We died eating the ceviche, guac, beef tacos, pitaya, quesadilla, gourmet hot dogs and so much more. We were living our truth…cue Heather McMahan. Talk about fresh to death and made with amor (that’s love in Spanish). Overall we would rate 100/100, 5 GOLD stars, 100% on rotten tomatoes for this place. It’s not goodbye but see you later. We love you Pueblo Bonito Pacifica. Subscribe to our newsletter for all things Hungry Girls.